Will Pat be able to fit in with his super new neighbors? Join Pat, Tractor, Captain Bulky, Hyperstar and WebbyWolf to find out. Pegperson Pat is a little toy trying to fit in with his superhero neighbors. Pegperson Pat is excited to meet the new people. That's because they're SUPERHEROES (accessories included)! 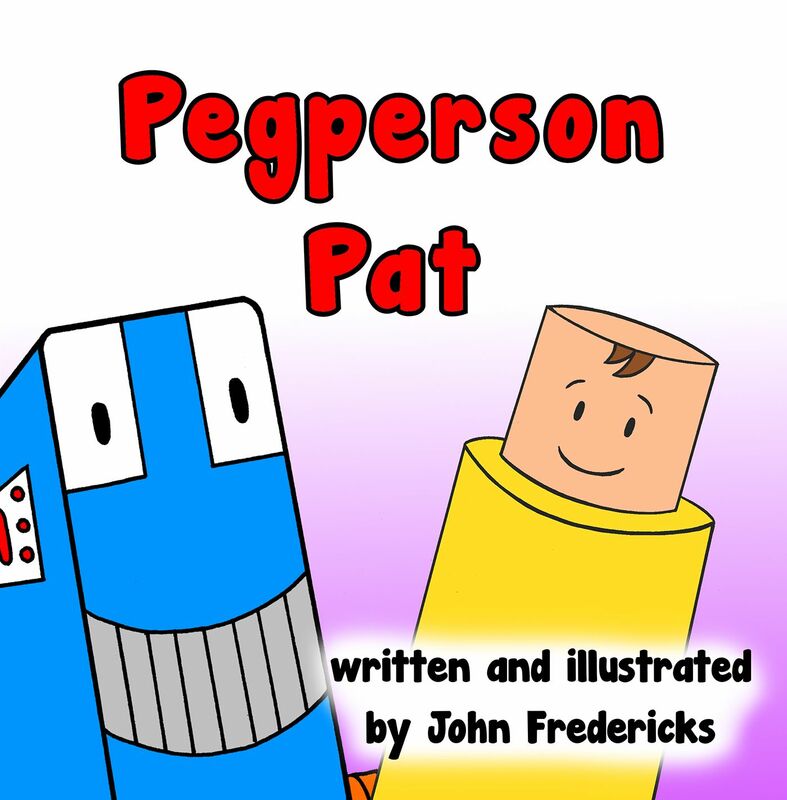 My name is John Fredericks and I’m the author and illustrator of PEGPERSON PAT, and the illustrator of the PRINCIPAL SAM books. 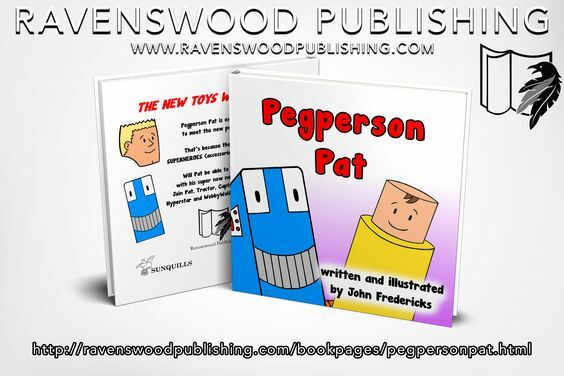 PEGPERSON PAT is a children’s book about trying to fit in with people who seem MUCH cooler. Let’s face it, we’ve probably all been there (at least I have). In this guest column, I’ll talk a little about what I’ve learned about writing and illustrating for children. I won’t be preaching from the mountain, just sharing some things I’ve noticed along the way. Let’s start with the writing: it’s a high-wire balancing act. You need an engaging story and characters, but you have to balance it with the illustrations. 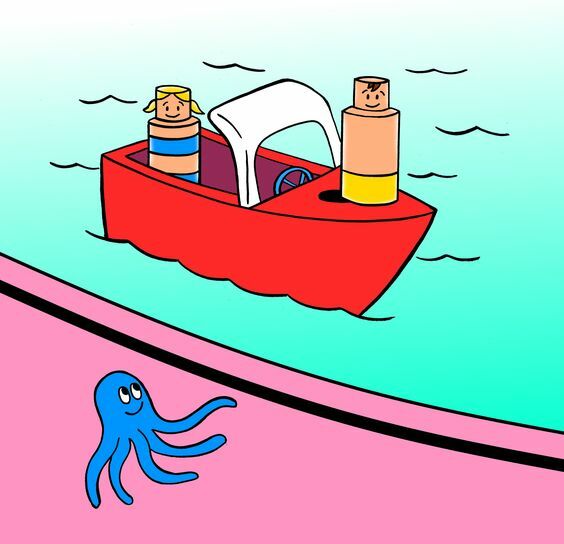 For example, my first draft of PEGPERSON PAT relied much too heavily on the illustrations to carry the story. A person could zip through the book in just a few minutes, more like a comic book. I had to go back and think about it like a bedtime story, where you would hear it first and then have the pictures pointed out to you. Another challenge in the writing is realizing that both children and their caregivers will be reading the book, perhaps together. For example, the first draft had too many comic book jokes and references that only the adults would get. They had to get pared way back. Also, I added more words about the emotions Pat had to tap into similar feelings younger readers might have. I wanted to talk to kids, but not talk down to them. I don’t know whether I hit the precise balance, but that was the goal. Illustrating for children has its challenges as well. The illustrations need to complement the text, but not carry the whole story. Good guides for me were Robert Krauss’s SPIDER books. I can still remember the pictures after all these years, but the stories were important too. They weren’t just picture books. For PEGPERSON PAT, the illustrations are very simple, but hopefully convey the emotions Pat feels along the way. Also, for children’s books, I also try to keep the character designs simple, so that kids could draw the characters themselves. 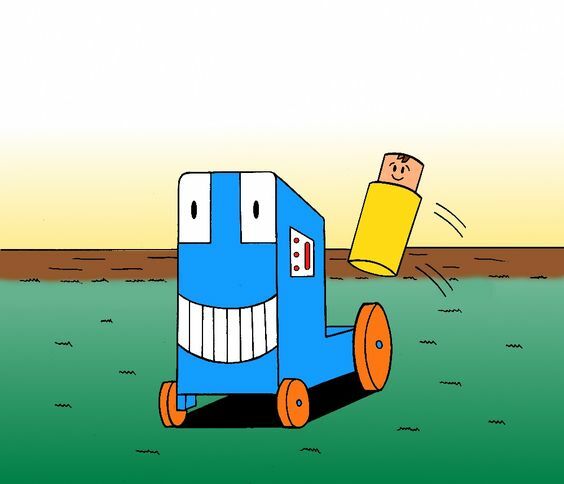 It’s an incredible feeling to see a child’s drawing of a character you’ve designed. The PRINCIPAL SAM books have generated some fan art, and it’s been an honor. There are also a lot of practical considerations when illustrating children’s books. Along the way I’ve had to learn a lot about trim sizes, full bleed pages, and how to get the art to work with the text on the same page. If I can give one piece of advice to fellow illustrators it would be to work bigger. Make sure your background extends well past the characters or main focus of the picture. This gives you much more leeway in sizing and placing it on the page. So that’s a quick look at PEGPERSON PAT and writing and illustrating for children’s books. Thanks for letting me write this guest post. Anyone can contact me at sketchingjohn@outlook.com .